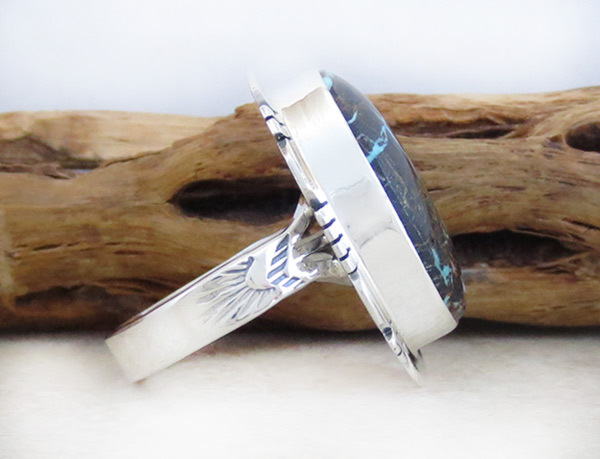 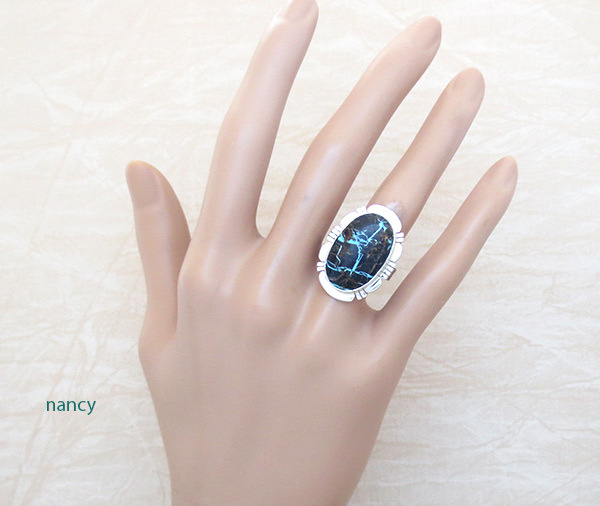 This size 7 ring was created by San Felipe Artist Philip Sanchez.. 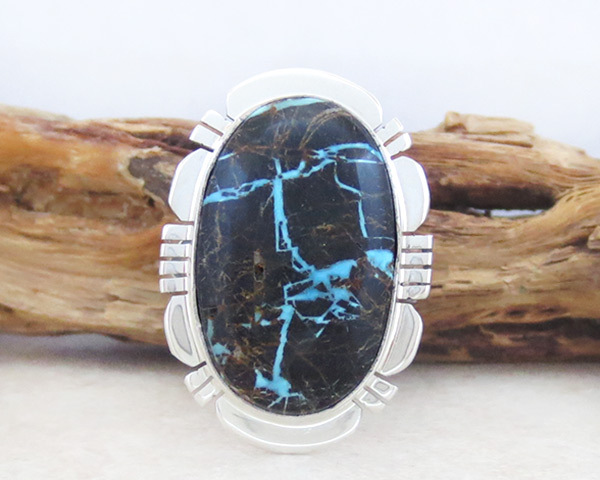 The turquoise stone black with rivers of blue and tiny lines of brown. 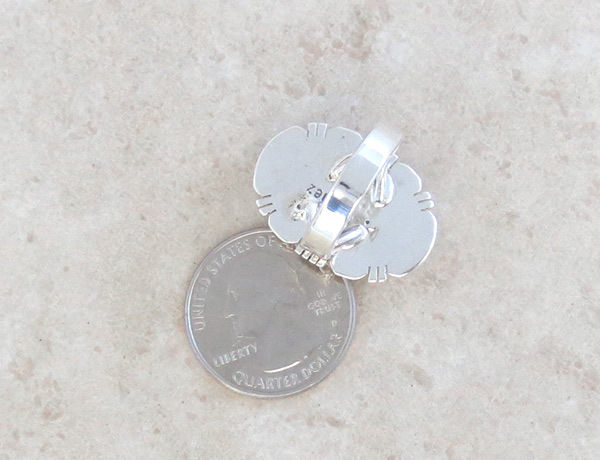 It's 1" tall by almost 3/4" at it's widest point.